The number of recalls from General Motors continues to grow, as this week's issues added to the list of more than 25 GM recalls to come through this year, totaling over 13 million vehicles. General Motors Canada announced this week it is recalling about 181,500 vehicles in three separate recalls. This news comes on the heels of GM’s recall of over two million vehicles worldwide for ignition-switch defects that sparked a firestorm from Canadian and U.S. authorities. This recall was linked to 13 deaths. The company is now facing a $35 million fine issued by the U.S. government for failing to disclose information about safety issues in an expedient manner. 75,700 Buick Enclave, Chevrolet Traverse, GMC Acadia full-size crossovers from the 2009-2014 model years and Saturn Outlooks from 2009 and 2010 are being recalled because front safety lap belt cables can fatigue and separate over time. In a crash, a separated cable could increase the risk of injury to front seat passengers. In this recall, the company explained, “The flexible steel cable that connects the safety belt to the vehicle at the outside of the front outboard seating positions can fatigue and separate over time as a result of occupant movement into the seat.” GM has issued a stop-sale on these vehicles until repairs are made. 105,700 of the previous generation four-speed automatic transmission Chevrolet Malibu and from the 2004-2008 model years and Pontiac G6 from the 2005-2008 model years are being recalled because of a shift cable that could wear out over time, resulting in mismatches of the gear position indicated by the shift lever. “The previous generation Malibu, Malibu Maxx and Pontiac G6 were added to an April 29 recall for certain four-speed transmission Aura models from the 2007-2008 model year,” the company stated. The Malibu and G6 vehicles equipped with a four-speed automatic transmission have a condition in which the transmission shift cable may fracture. When the fracture occurs, the driver may not be able to select a different gear, remove the key from the ignition or place the transmission in park. The OEM is aware of 18 crashes and one injury among the 4-speed Malibu and G6 population in the U.S. Dealers will replace the shift cable and attachment bracket at no charge to the customer. 57 Cadillac Escalades and Escalade ESVs from the 2015 model year will be recalled because an insufficiently heated plastic weld that attaches the passenger side air bag to the instrument panel assembly could result in a partial deployment of the air bag in the event of a crash. All affected vehicles are in dealer inventory and will be repaired prior to sale, and GM has stopped the sale of the 2015 Escalade and Escalade ESV vehicles. In these vehicles, the passenger airbag module is attached to a chute adhered to the backside of the instrument panel with an infrared weld that was not sufficiently heated. Overall, the company reported there have been no fatalities associated with these recalls. Going back to the March recalls, Merchant Law Group LLP launched a Canada-wide class action against the manufacturer concerning the recent recall of an ignition-switch allegedly linked to 13 accidental deaths. And GM chief executive officer Mary Barra participated in both U.S. House and Senate hearings to investigate the ignition-switch recall. These events and others have spurred GM to ramp up product investigation, adding 35 product investigators since the beginning of 2014, and has initiated 29 safety and non-compliance recalls in the U.S. and Canada so far this year. The company expects to take a charge of up to approximately $400 million in the second quarter, due to the influx of recalls. 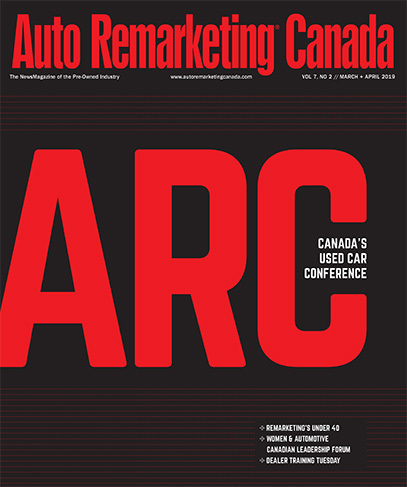 For more information on GM’s spring recalls, see the following Auto Remarketing Canada story here.